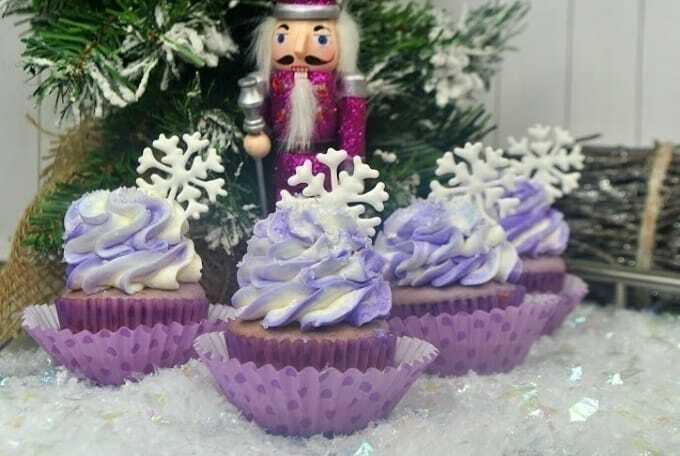 Have a sweet treat this holiday season with these delicious Sugar Plum Fairy Cupcakes. These Nutcracker-inspired treats are perfect for Christmas. I love it each holiday season when the Christmas Classic, The Nutcracker , comes to life. I am a huge fan of the world of dance. While I am a far cry from being close to a professional, the Nutcracker music itself gets me dancing around the house as if I should be on stage. Don’t worry though, that is not going to happen. I just like to relive my youthful ballet, jazz and tap days in the privacy of my own home. This week is the official Christmas kick-off here and I am starting things off on a sweet note with these Sugar Plum Fairy Cupcakes. I have a lot of delicious sweets, treats and Christmas craft ideas to share with you over the coming weeks, so stay tuned. Make sure you sign up for my email list so you can get notifications for all these posts. These cupcakes were inspired by the new Disney Movie The Nutcracker and the Four Realms. 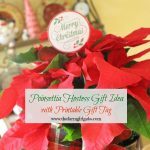 They are perfect for any holiday party you may be having. It’s a nice change from the traditional Christmas cookie too. For the recipe, I simply doctored up a box of cake mix but you can make them from scratch. My favorite scratch vanilla cupcake is this Vanilla Bake Shop Cupcake recipe. This is one of the very first recipes I shared here when I first started the blog. 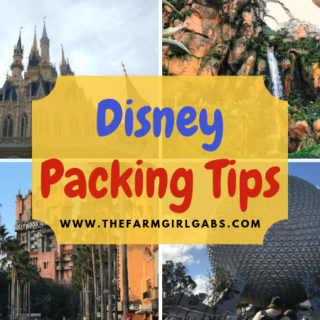 You will notice how old the post is by how bad my photography skills were – Ha! I would definitely say that my photo taking skills have improved. And don’t be intimidated by the royal icing snowflakes. 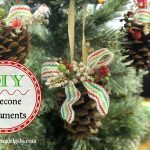 If you are unsure about making them, you may even be able to find pre-made edible snowflakes in the baking section of your local craft store or online. Using the standing mixer, combine the egg whites, cream of tartar, vanilla and powder sugar and mix until combined and stiff peaks form. Using the piping bag, pipe out 24 thick snowflakes. Line cupcake pan with the purple cupcake liners. In a medium bowl, add the cake mix, butter, milk, and vanilla extract, food coloring and stir until combined. Mix in the 1-3 drops of purple food coloring into the second bowl and mix until you get a light lilac color. Using a butter knife, scoop the lilac color onto three sides of the piping bag. Frost the cooled cupcakes and sprinkle some white sprinkles. 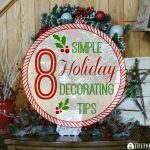 Carefully peel off a snowflake and place into the side of the frosting. 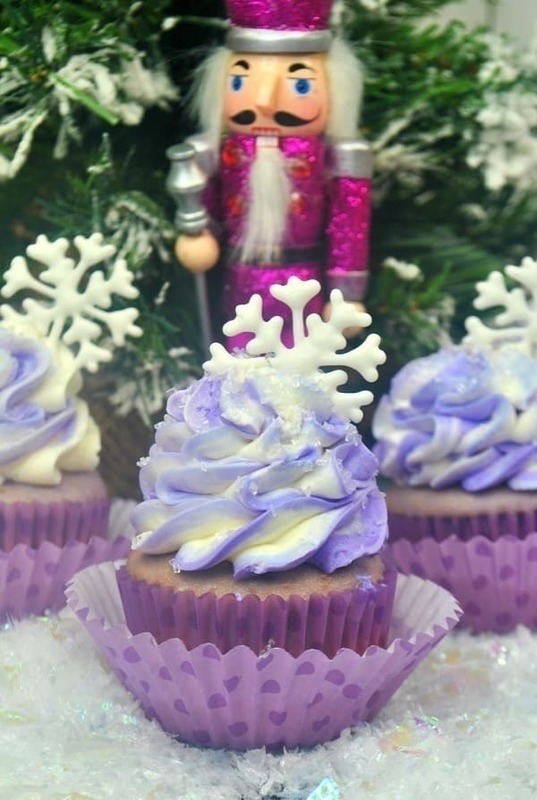 Save these Sugar Plum Fairy Cupcakes for later. Pin the image below to your favorite Pinterest Board. These look perfect for a “Frozen” party, too!